Alison Thewliss, MP for Glasgow Central, has dressed in pink to lend her support to Breast Cancer Now’s flagship fundraiser, wear it pink, which will see thousands of people across the UK adding a splash of pink to their outfits on Friday 20 October and raise vital funds for breast cancer research. Ms Thewliss is encouraging her constituents in Glasgow Central to join her and sign up to take part in the UK’s biggest pink fundraiser. 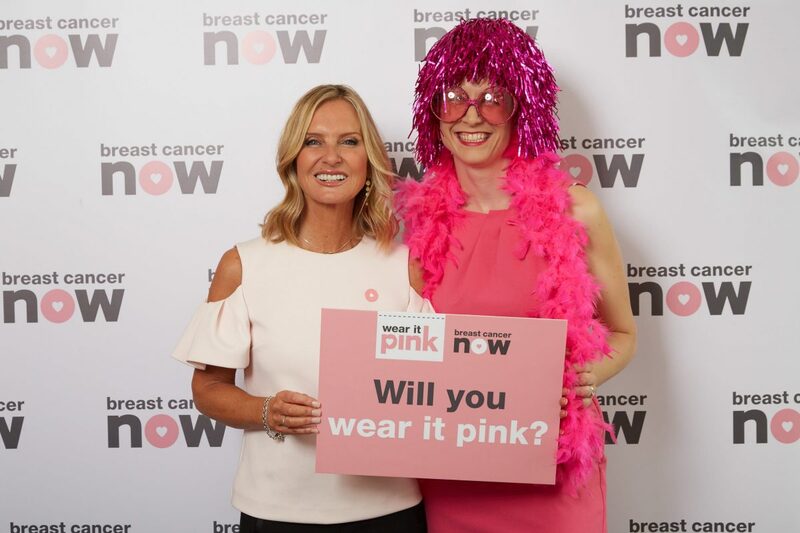 The event, which takes place during October’s Breast Cancer Awareness Month, is in its 16th year and has raised over £30 million to date for Breast Cancer Now’s life-saving research. 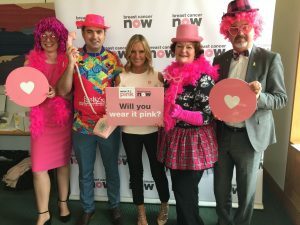 Ms Thewliss joined fellow parliamentarians in Westminster earlier this month to show her support for the thousands of women and men affected by breast cancer each year, encouraging people across the UK to take part on wear it pink day. “Breast cancer is the most common cancer in the UK. One in eight women will face it in their lifetime, and every year around 11,500 women and 80 men lose their lives to the disease. This is why I’m urging everyone in Glasgow Central to take part in wear it pink on Friday 20 October. It’s such a fun and easy way to support Breast Cancer Now’s vital research, and help stop breast cancer taking the lives of those we love. Also in attendance was Sky News presenter and former Olympic gymnast Jacquie Beltrao. Jacquie, who was diagnosed with breast cancer in 2013, is lending her support to wear it pink in the hope that thousands of people across the country will take part in the event. “I’m very proud to support wear it pink; it’s a great excuse to dress up in pink and have some fun while raising money for a really important cause. I have had breast cancer myself and following my diagnosis and treatment have become incredibly passionate about raising awareness and funds for research. To take part in wear it pink this October, please visit Wear it Pink for further details, fundraising ideas and how to register for your free fundraising pack.